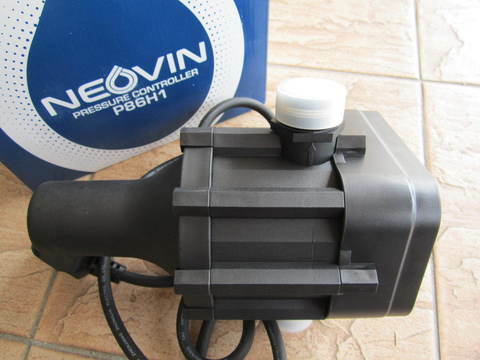 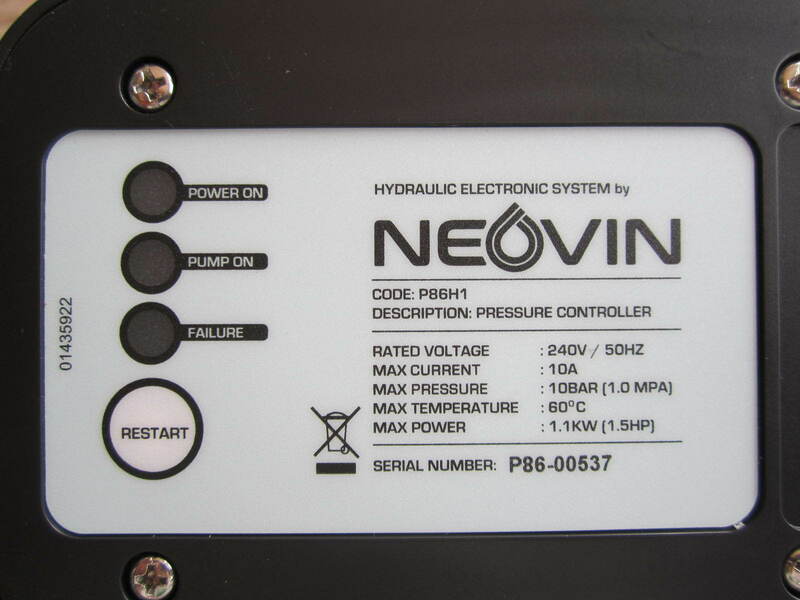 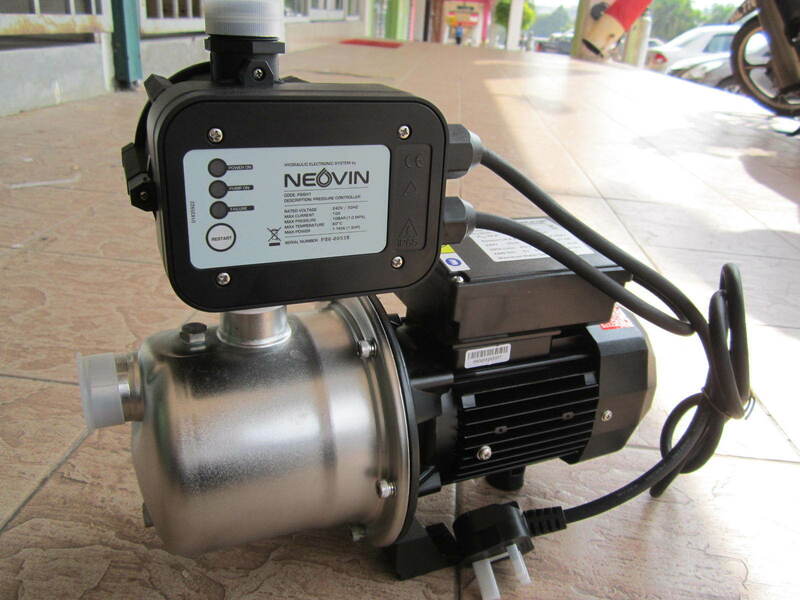 Neovin 1.1kW Automatic Electronic Pressure Controller..
Neovin controller is used to automatically control the functioning of electric water pumps. 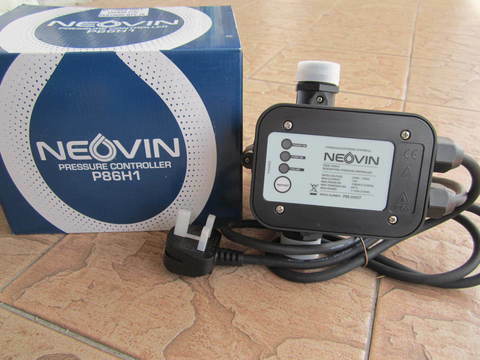 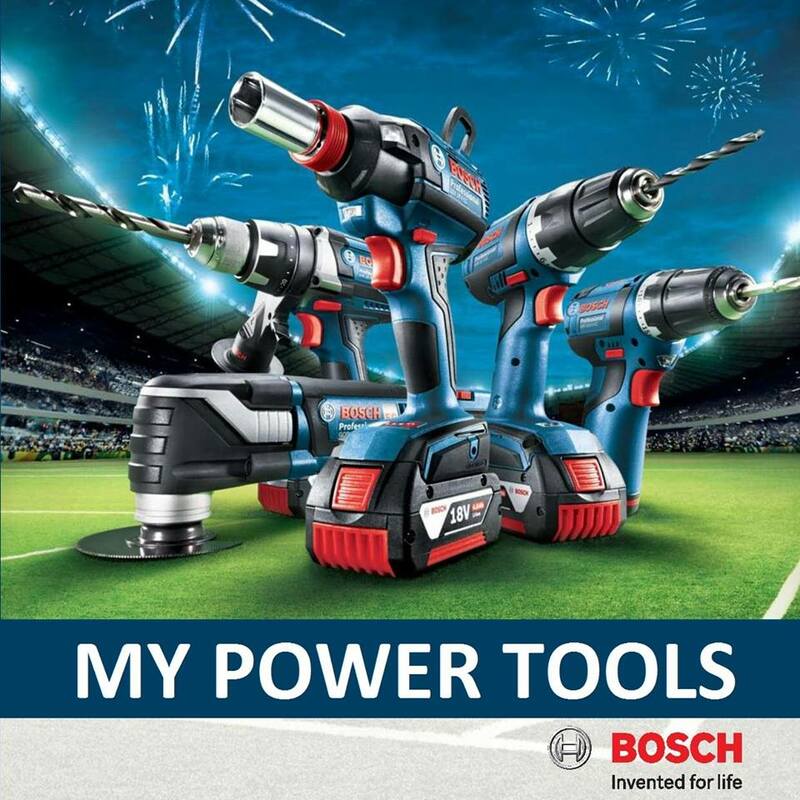 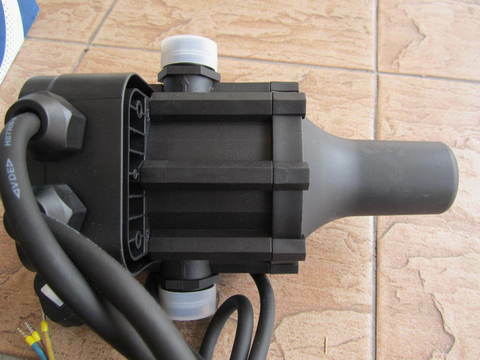 It can guarantee the optimum control of electric pumps used in plumbing systems. 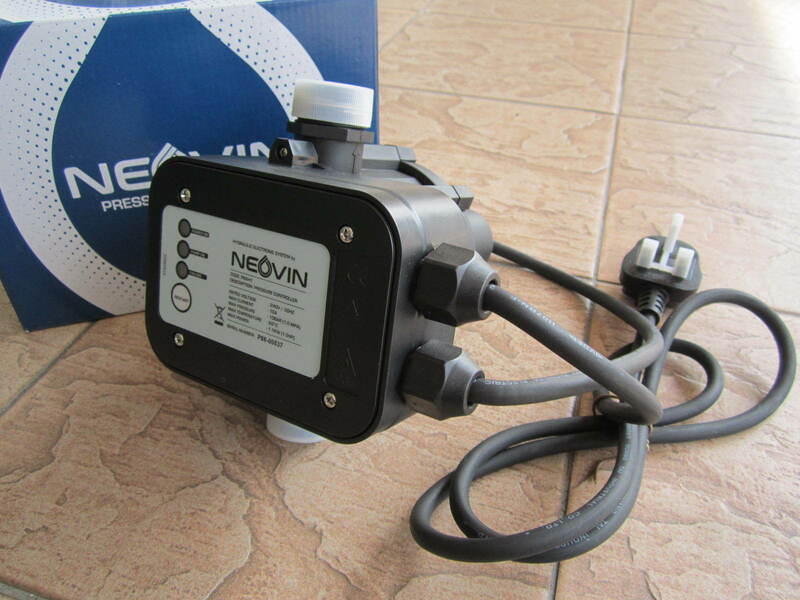 Being an intelligent mix of hydraulic and electronic engineering, the control maintains both pressure and flow and controls the operation of the pump automatically. 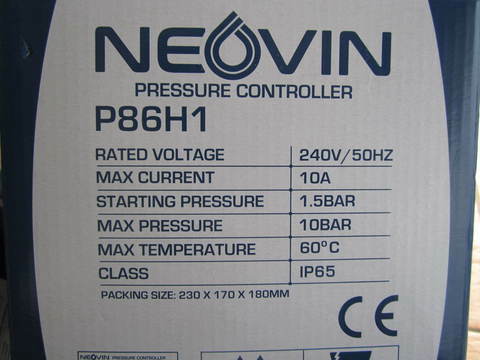 It needs no pressure tank as in the traditional systems. There are no plenum chambers to recharge and no irritating variation in pressure and in flow at the point of use. 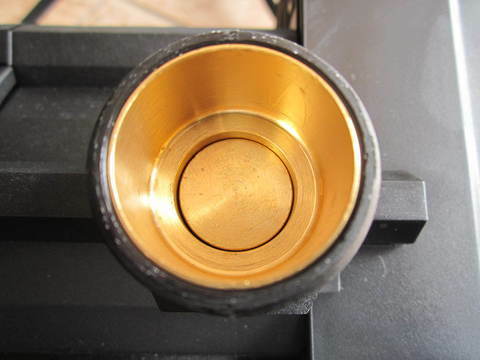 No adjustment or maintenance is required. It is absolutely dependable, durable and simple to install.